King often represented the United States in the Federation Cup and the Wightman Cup. She was a member of the victorious United States team in seven Federation Cups and nine Wightman Cups. For three years, King was the United States’ captain in the Federation Cup. An advocate for gender equality, In 1973, at age 29, King won the so-called Battle of the Sexes tennis match against the 55-year-old Bobby Riggs, and was the founder of the Women’s Tennis Association, World Team Tennis (with former husband Larry King), and the Women’s Sports Foundation. King has received many sports and achievement awards over her career. 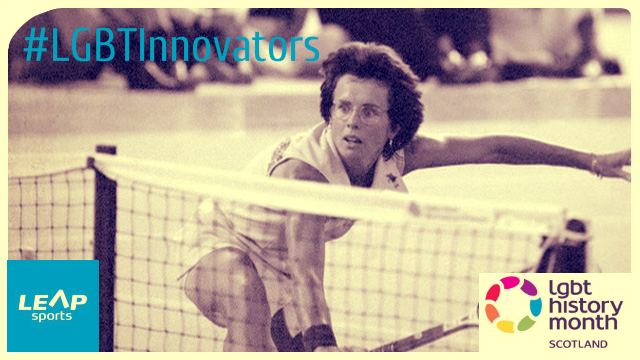 In 1990 she was inducted into the American Women’s Hall of Fame, and in 2006, the USTA National Tennis Center in New York City was renamed the USTA Billie Jean King National Tennis Center. Written on 3rd February 2016.